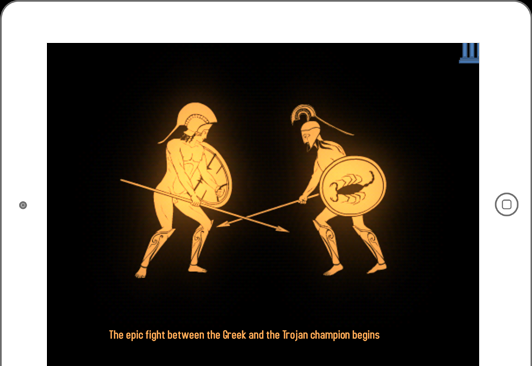 The Trojan War is an interactive book designed for kids between ages 5 and 12. It tells a mythical story through a series of playful animations. The narrative power of mythology is enhanced by the rich user experience offered by the tablet. 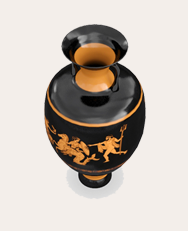 The illustrations in the interactive book are based to a large extent on those found on antique Greek vases. This app is a good way to introduce children to the ancient Greek art, with its refined aesthetic, in an informal and fun manner.